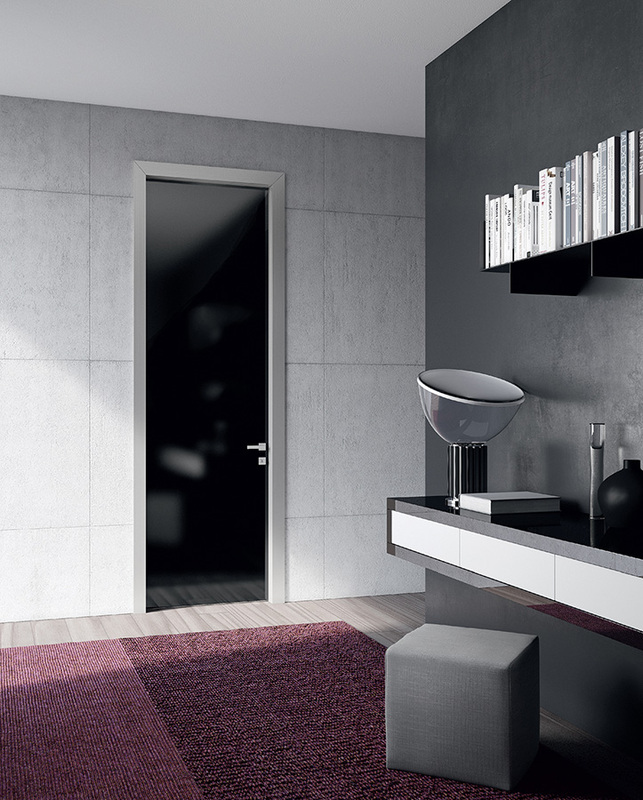 Perfect flexibility, SEGNO is a system full of nuances that also changes its finishing according to the material used, “disappearing” in its version Filomuro, becoming as a whole with the environment. 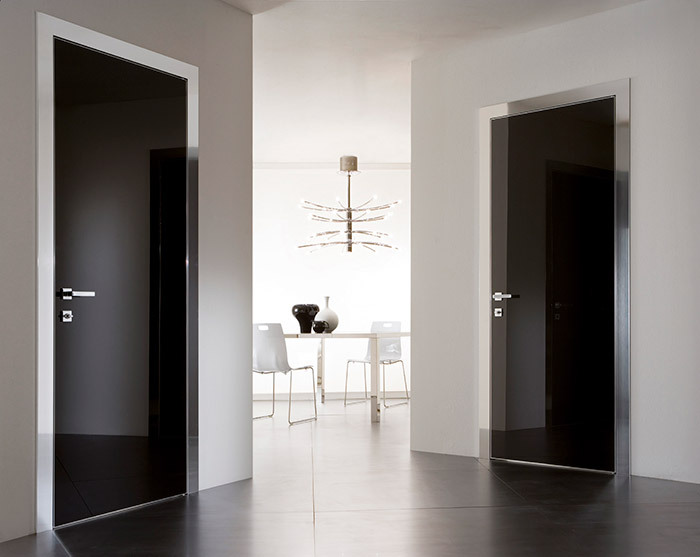 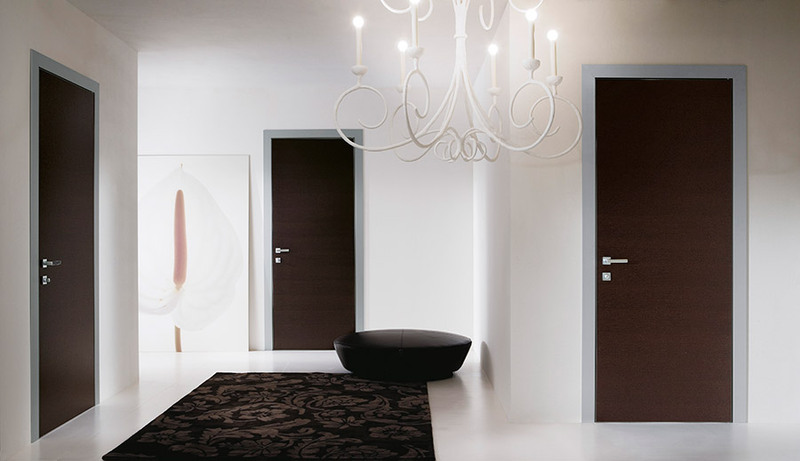 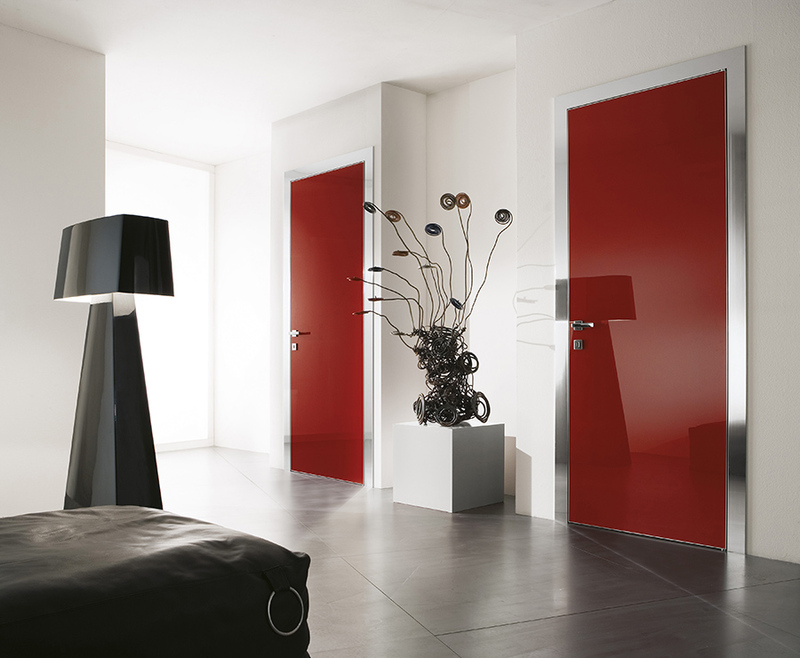 SEGNO collection foresees swing doors with traditional jamb, flush doors, sliding panels for hidden boxes and sliding panels. 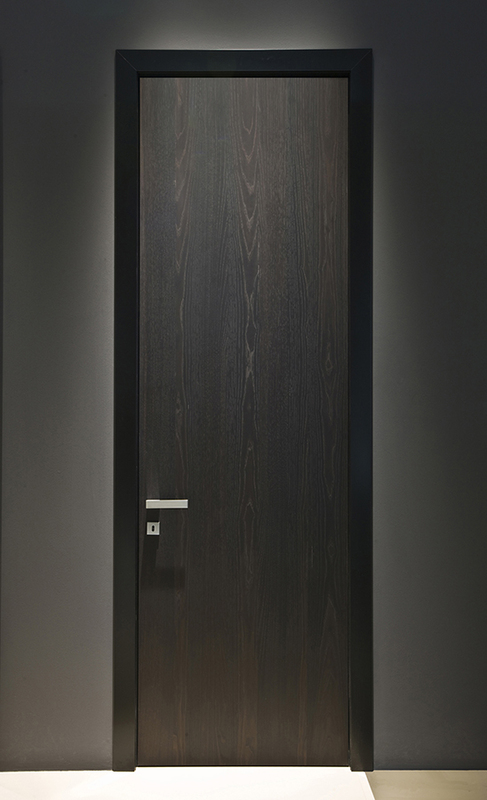 Porta a battente con stipiti cromo lucido e pannello cristallo bifacciale nero. 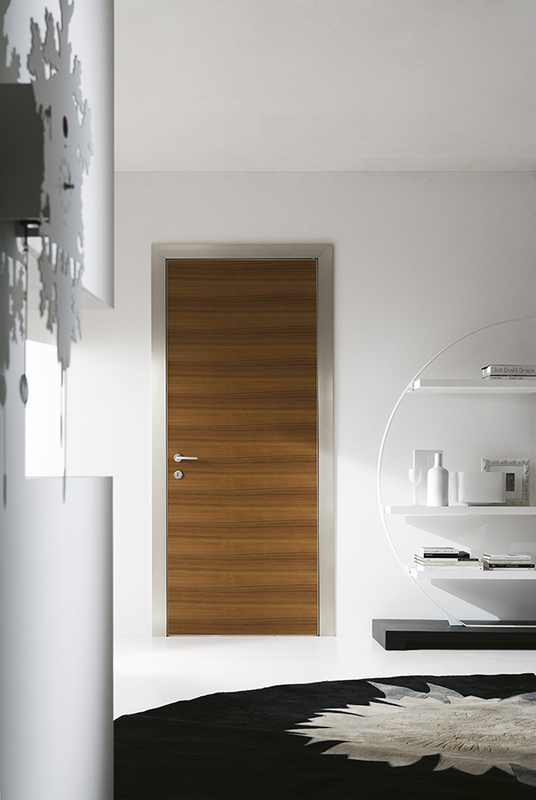 Porta a battente con stipiti in alluminio e pannello rivestito in rovere Wengè.